What Did You Go Out To See? [UPDATE] Check out my article on The Christian Vision Project site. This year a number of other authors, missiologists and thinkers, all of whom are far more qualified than I, will address this question. [ORIGINAL] My article “What Did You Go Out To See? is online now at Books and Culture for your viewing pleasure. Books and Culture is a fabulous thinkers guide to current Christian thought. B & C is to Christianity Today what Audi is to Volkswagon so I have to make sure i say it right. They asked a number of us to answer the question “What must we learn, and unlearn, to be agents of God’s mission in the world?” My answer was “We need to learn to see the unexpected and unlearn our compulsion to see the expectable.” Otherwise we will miss what God is showing us. I will be looking out for the rest of the series over the year to see how others answer it. Really interesting piece, Andrew, and thanks for introducing me to Wiconi International. Looks like a fascinating ministry. Great thought. It’s being said a lot right now, and it has also been what God has really been teaching me of late… and yet it has been around since the beginning of time… what is faith? Hebrews 11 tells us nicely that it is certainty in the unseen! We put God in our box and then wonder why He’s not so wondrous. Thank you for a thought-provoking article. My only problem with it is that it sounds very last century when former colonies were rediscovering themselves and their own ethnic identity. Then the cutting edge stuff was to affirm cultural identity. But now precisely because of the cultural trends you identify, people want to be ‘western’ and global. They aspire to the values of the western world (God help them). I am a western pastor of a Chinese church. In the emerging cultures of China and India, what people want are western consumer goods, food and lifestyles. If they can’t buy the real thing,they buy copies. We may disapprove of this, but if we want to be missionaries we have to go to people and address them where they are. Jesus respected John the Baptist, but chose, as did Paul, a very different model of mission. Paul went to the centres of Roman globalisation and spoke to them on their own terms. Retreating to the desert model really isn’t an option. Did you know that in Shanghai – an emerging city if ever there was one – they are building a village for successful professionals to live exactly modelled on an English village with pub, church, and cricket green? Being truly emerging may be more complicated that at times it seems. thanks Ross. Always complicated, complex. never a return to a singular naivete. I really enjoyed reading your article – in print! B&C is, I can testify, an excellent birthday present. As is an Audi. Ross, that’s a very thought-provoking observation. Westerners can exoticize the “natives” more than the “natives” do themselves. As far ahead as I can see (about 12 hours 🙂 ) there are going to be competing countertrends around the world: the trend of claiming and preserving indigenous culture, and the assimilation of indigenous culture to Western culture. Both will go on at the same time, sometimes in the same individuals and communities. Doubly paradoxically, it will often be “the poor” who aspire most readily and simply to Western life and “the affluent” who aspire to identify with their indigenous culture (notwithstanding your Shanghai English village example). In fact, very much the same dynamics are present within Western cultures, which is why soi-disant “emerging” churches can be thriving at exactly the same time that soi-disant “Reformed” churches are thriving, for example. 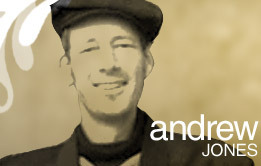 thanks Andy for all your hard work on the editing and the freedom for some subtlety and play. Hope the year’s series goes well. Thanks for responding to my response! All I would say is that my experience is that it is both the poor and well-off who aspire to western lifestyles. Here, in China, the well-off buy Chanel, Armani, Rolex, etc and the poor buy imitations, but all want to be western. The people who don’t want to be western are liberal intellectuals in the west who only have that luxury because they are in the west. Did you know that one of the rising health problems in Delhi amongst middle class professionals is obesity? You don’t get more western than that! My point is not to approve of this. I don’t. It’s just that in thinking about mission, we perhaps need to be a bit more subtle than traditional, last century mission thinking allows. I remember at theological college being challenged to identify with the poor and oppressed. Having tried to do so, I only discovered that they identified with the rich and powerful. thanks Ross. I wonder if its the middle class that clouds our view? One missions professor taught us that people movements happen first among the working poor and the very wealthy – the villagers and the aristocrats. one group needs justice and the other group has justice to offer. st francis worked with both groups. and both groups turned up at mother teresa’s funeral . . . but not the middle class. Thanks for taking the time to discuss this with me. I couldn’t agree more. It’s the middle class that we are not reaching and who are, in that sense, the problem in terms of mission. The middle classes are who ultimately define a society as they are the ones with mass spending power and whose intellectual and spirtual values hold sway. It is only when we have a mission strategy that embraces and challenges the middle class that we have a mission strategy. And as I keep saying here in China – and also in India – it is to be middle class that is the aspiration of the poor. Much as it was in the UK post-WWII. Perversely, to reach the middle class is to reach the poor as well. Too much contemporary mission thinking is only concerned with the American (and to a lesser extent British) middle class and is not taking on board what is happening in China and India.